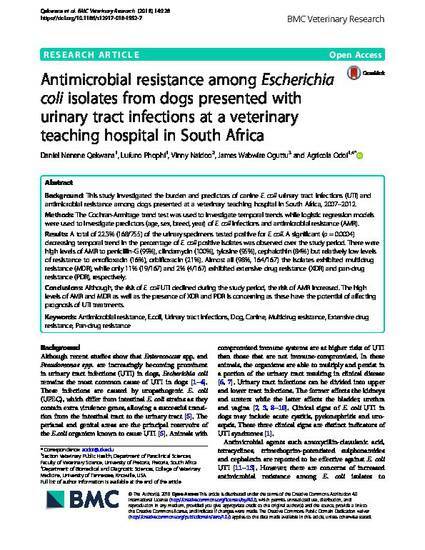 Antimicrobial resistance among Escherichia coli isolates from dogs presented with urinary tract infections at a veterinary teaching hospital in South Africa. BMC Veterinary Research. This study investigated the burden and predictors of canine E. coliurinary tract infections (UTI) and antimicrobial resistance among dogs presented at a veterinary teaching hospital in South Africa, 2007–2012.